"This was one of the worst incidents I had ever seen in my 39 years experience," the paramedic testified. The blood flowed "like a waterfall" from the top floor when Teresa van Breda's body was moved so that rescuers could get to her 16-year-old daughter, Marli. 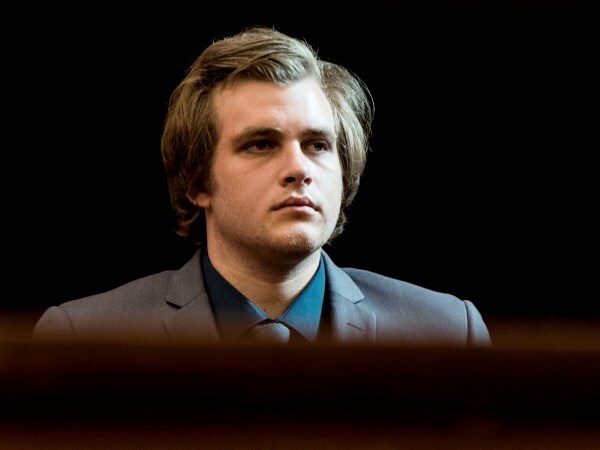 Former paramedic Christiaan Koegelenberg testified in the Cape Town High Court on Tuesday about what he and his colleague saw when they arrived at the Van Breda residence on the De Zalze estate, the morning of January 27, 2015. “When we got there, the policeman showed us what was going on. He took us into the house at number 12 [Goske Street]. He told us to go look at what was going on because everything ‘was deurmekaar’,” he said. He added that when 55-year-old Teresa's body was moved, “blood ran down the stairs like a waterfall”. "One of the patients was sitting outside by the door holding a dog," he said. He confirmed that the patient was indeed Henri, but says the 22-year-old looks much older than he did that night. His colleague was investigating the boys' room and signalled to him that Martin (54) and Rudi (22) van Breda were dead. Christiaan saw that Marli was still alive. They carried her to the ambulance and took her to Stellenbosch Mediclinic where she was left in a doctor's care. "This was one of the worst incidents I had ever seen in my 39 years experience," testified Christiaan. When speaking outside the court, after his testimony, Christiaan said that Marli would have died if it was not for him and his colleague. Henri has pleaded not guilty to charges of axing his parents Martin (54) and Teresa (55), brother Rudi (22) to death, attempting to murder his younger sister Marli, and defeating the ends of justice. Henri claims he and his family were the victims of an attack by an intruder in the early hours of the morning, which started when he was in the bathroom. He and his sister survived, but she sustained serious injury to her head. Earlier it was heard in court that contrary to earlier testimony by security, that it had been "quiet" the night of the murders, CCTV footage shows there were unlogged comings and goings. CCTV footage was played in the Western Cape High Court on Tuesday and captured numerous activity at the upmarket De Zalze estate. 04:29 - another vehicle entered, without being stopped, and there was no record on the logs of this activity.